Jedi: Fallen Order casts players as the Jedi Cal Kestis (Cameron Monaghan) as they journey through a post-Episode 3 universe on the run from the newly established Empire. Players will adventure through several new planets and meet a cast of characters penned by the acclaimed writer Chris Avellone (of Fallout: New Vegas and Star Wars: Knights of the Old Republic 2 fame). Aside from the presence of a droid companion named BD-1 and the pursuit of a Jedi hunter called the ‘Second Sister’, not much is known about the story’s proceedings. Details on gameplay are similarly scarce, but we know the game will be a third-person action game with an emphasis on melee combat. Lightsabers and Force powers are the focus here, with some kind of customization aspect being hinted at. Respawn Entertainment was founded by the original Call of Duty creators, and are known for their high-quality first-person shooters Titanfall, Titanfall 2, and Apex: Legends. It is not yet clear how this will factor into making a melee-action game, but the presence of project director Stig Asmussen, director of God of War III, indicates that they have some idea of how to go about doing it. Fallen Order will also feature platforming of some kind, which we can be much more confident about given Respawn’s widely-praised implementation of mobility in their games, as seen in Titanfall. Besides the absence of multiplayer and microtransactions, there is little more to glean from what’s been announced so far. No gameplay footage has been released, though it is safe to assume that we’ll see some at EA Play in two months time. Pre-orders for a standard and deluxe edition are available now, but you should wait and see before committing. Considering the pedigrees of all those involved, we have high hopes for the Jedi experience that Respawn plans to offer. 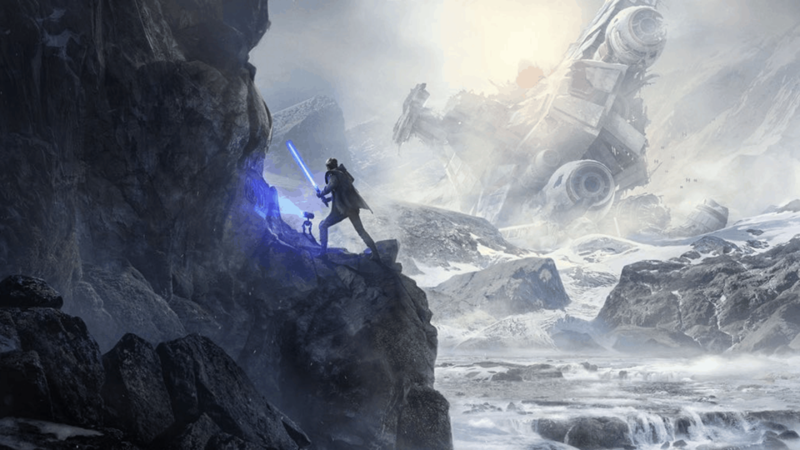 Jedi: Fallen Order is slated to release this November 15th, on PC and consoles.